Here are my Bible notes from my Bible fellowship at my home on Sunday. I pray they bless and strengthen you. Jesus Christ makes an amazing statement in Matthew. 14You are the light of the world. A city on a hill cannot be hidden. 15Neither do people light a lamp and put it under a bowl. Instead they put it on its stand, and it gives light to everyone in the house. 16In the same way, let your light shine before men, that they may see your good deeds and praise your Father in heaven. Barclay-It may well be the greatest compliment ever given to an individual Christian for in it Jesus commands them to be what he claimed to be: John 9:5 (NIV): 5While I am in the world, I am the light of the world.” We must not produce our own light but shine with the reflection of his light. Barclay says 1) First and foremost a light is too be seen 2) A light is a guide and makes clear the way. 3) Also can be a warning light. You (humeis) is emphatic meaning “you yourselves”. Genuine faith in Christ turns a man from darkness to marvellous light, and transforms him into “﻿light in the Lord﻿”; his aims and objects, his desires, his speech, his actions, become full of divine light, which illuminates all the chambers of his soul, and then pours forth from the windows so as to be seen of men. Your light – If you are a believer you are a supernatural “light”. And you are responsible for letting your light shine forth. Let…shine – Jesus does not make a suggestion but as discussed below issues a command “Since you are light, then shine!” Shining is not optional for believers. Let…shine (lampo) means to radiate brilliantly or beam forth. Jesus gives His a command to do this right now and do it effectively (aorist imperative – conveys the idea of urgency). This is a permissive imperative which means to permit your light to shine. Don’t do anything that will cover it, hide it or snuff it out. To shine is not optional! If we fail to obey our Lord’s command we will fail to fulfill His purpose for us in His glorious plan. What Jesus intends is for believers to live out the Christ life which is in them (Col 1:27), a way and quality of life that is so different from that of the world (including the religious world) and so distinctive that it shines light into the darkness. Let the character of Jesus shine forth. “see the beauty of your life”. A Christian’s life should be nothing but a visible representation of Christ. Has anyone mistaken you for Jesus lately? See (horao > eido which is the verb derived from horao) refers not merely the act of seeing, but also the actual perception of object with the mind and the senses. It can convey the idea of taking special notice of something, with the implication of concerning oneself with the object seen. For example, when John uses it of seeing God (John 6:46, 14:7, 9), he emphasizes the figurative meaning of to know Him or to be acquainted with Him. The Christian is the visual aid which God brings on to the stage when he begins to speak at an unconverted person. Believers are not to live incognito or in “spiritual disguise”, camouflaging their devotion to Christ. The real mark of a saint is that he makes it easier for others to believe in God. Am I truly living a life different from unbelievers? Is there anything about my life which one might recognize as supernatural? Am I giving a proper opinion of my Father by the way I live? The logic is clear and direct – just as the function of a household lamp is to give light in the house, so too believers are to provide illumination to all they encounter in this spiritually dark world. How? By witnessing with the evangelistic methods they’ve been taught in church? Yes, sometimes. But even more foundational than having evangelistic methods is the knowledge that we are in fact witnesses for the Light in every place we are. The point is that witnessing is not so much what you do but what you are. If the beatitudes are truly being your attitudes, beloved, you are light in the Lord. You are a living epistle, a walking testimony of the New Life that lives in you and shines forth in the darkness. You are illuminating the truth of the gospel by your life and lips because your light is so dramatically different from the darkness of this world. The lost see the gospel at work in your character and conduct and some (not all) will want to know what makes you different. Good deeds-Barclay-good is kalos-not only good but that it is also captivating, beautiful and attractive. So much so called Christian goodness is that there is an element of hardness, coldness and austerity. There is a charm in true Christian goodness which makes it a lovely thing. The good deed draws attention to the beauty of God. What God has enabled you to do. 9But you are a chosen race, a royal priesthood, a dedicated nation, [God’s] own purchased, special people, that you may set forth the wonderful deeds and display the virtues and perfections of Him Who called you out of darkness into His marvelous light. 15 that you may be blameless and innocent, children of God without blemish in the midst of a crooked and twisted generation, among whom you shine as lights in the world, 16holding fast to the word of life, so that in the day of Christ I may be proud that I did not run in vain or labor in vain. Phillips: So that you may be God’s children, blameless, sincere and wholesome, living in a warped and diseased world, and shining there like lights in a dark place. The word used for lights is the same as is used in the creation record of the lights (sun and moon) which God set in the dome of the heavens to give light upon the earth. Paul is saying the saints at Philippi and by way of application believers of all ages are to shine out in stark contrast to the darkness of this godless society shining forth as “heavenly bodies of light” (lights powered from heaven) stationed upon the earth enshrouded in the darkness of sin. We are now “light in the Lord” and are to reflect the glory of the Lord in the middle of this present darkness. The darker the night, the brighter the light appears. Christians are lights or light-bearers. They cannot create any light, but they can reflect the glory of the Lord so that others may see Jesus in them. Appear (phaino from phos = light) means to give light, illuminate, or shine forth as a luminous body. This refers not to the act of shining, but to the fact of appearing, being recognized as God’s children. The saints were to continually (present tense) be conspicuous, visible and “shining examples” of the transforming power of the gospel of God’s grace. How’s you’re light shining? Saints are not here to adapt to or accommodate to the darkness but to shine as lights. No true believer can fail to give a witness as to the difference between his manner of life and that of the world. If there is no difference it is questionable whether he has ever come out of darkness into light. Lights (phoster from phos = light) is a “light giver” and in classical Greek was the word for “window” which is fascinating for here Paul uses it figuratively to describe a person who lives in such a way that they give light to those about them! The picture is that of a procession at night, in a crooked and distorted age, in which torchbearers are going and holding high the blazing torches, so that those following can see how to walk in this sin-darkened world. WE MUST BE A SHINING STAR AND WE MUST BE A VOICE. 15Be very careful, then, how you live—not as unwise but as wise, 16making the most of every opportunity, because the days are evil. Walk (peripateo from peri = about, around + pateo = walk, tread) means literally to walk about here and there or to tread all around. Peripateo then came to mean, to make one’s way, to make progress, to make due use of one’s opportunities and finally (as used by Paul in Ephesians), to live, to regulate one’s life, to conduct one’s self. Most of the NT uses refer to the daily conduct of one’s life or how one orders their behavior or passes their life. In contrast to those who walk in spiritual darkness, Paul uses the present imperative to command believers to continually walk in the light into which they have been transferred. Keep walking in the light, step by step, ever making progress. Children (teknon from tikto = bring forth, bear children, be born) means literally “a born one” and refers to a child as viewed in relation to the one who bore him. It follows that teknon takes on special significance when the Bible calls believers the children of God. God’s spiritual children possess His divine nature. 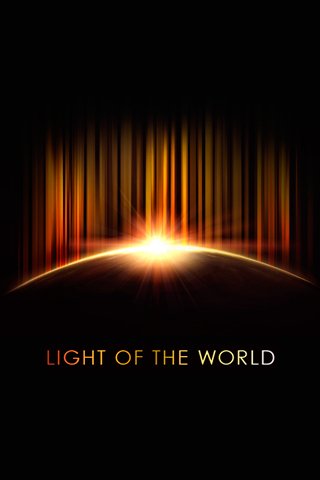 Children of light – Describes the nature of the Father (1Jn 1:5) that is in us now which equates with His light that is within us (Jn 8:12, 12:36, Jn 3:20, 21, 11:10).. We are born of Him Who is light and we are the children of light. 1Now, brothers, about times and dates we do not need to write to you, 2for you know very well that the day of the Lord will come like a thief in the night. 3While people are saying, “Peace and safety,” destruction will come on them suddenly, as labor pains on a pregnant woman, and they will not escape. 4But you, brothers, are not in darkness so that this day should surprise you like a thief. 5You are all sons of the light and sons of the day. We do not belong to the night or to the darkness. 6So then, let us not be like others, who are asleep, but let us be alert and self-controlled. 7For those who sleep, sleep at night, and those who get drunk, get drunk at night. 8But since we belong to the day, let us be self-controlled, putting on faith and love as a breastplate, and the hope of salvation as a helmet. 9For God did not appoint us to suffer wrath but to receive salvation through our Lord Jesus Christ. 10He died for us so that, whether we are awake or asleep, we may live together with him. 11Therefore encourage one another and build each other up, just as in fact you are doing. 11And do this, understanding the present time. The hour has come for you to wake up from your slumber, because our salvation is nearer now than when we first believed. 12The night is nearly over; the day is almost here. So let us put aside the deeds of darkness and put on the armor of light. 13Let us behave decently, as in the daytime, not in orgies and drunkenness, not in sexual immorality and debauchery, not in dissension and jealousy. 14Rather, clothe yourselves with the Lord Jesus Christ, and do not think about how to gratify the desires of the sinful nature. We are not only to do right things, but we must do them beautifully; not only to speak the truth, but to speak it in love (Eph 4:15); not only to give to those who need our help, but to do it graciously and joyously. We must cultivate the bloom of the soul, which is made up of compassion, kindness, humility, meekness, generosity (Col 3:12). The beauty of the Lord our God must be upon us. A life once spent is irrevocable. It will remain to be contemplated through eternity…the same may be said of each day. When it is once past, it is gone forever. All the marks which we put upon it, it will exhibit forever…each day will not only be a witness of our conduct, but will affect our everlasting destiny….How shall we then wish to see each day marked with usefulness…! It is too late to mend the days that are past. The future is in our power. Let us, then, each morning, resolve to send the day into eternity in such a garb as we shall wish it to wear forever. And at night let us reflect that one more day is irrevocably gone, indelibly marked. This entry was posted in Bible Teachings and tagged christians as children of light, city upon a hill, dont hide light under bushel, jesus light of the world, lights of the world, sermon on the mount, shine as lights. Bookmark the permalink.